Yachting Boating World: Hastings RNLI and the coastguard were put on standby following reports that three girls were in the sea playing PokémonGo. They were fully clothed. 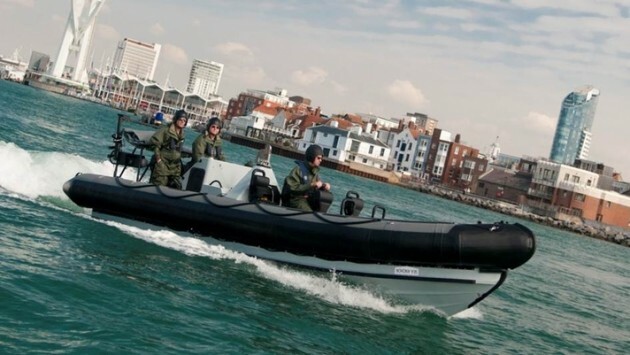 Yachting Boating World: An investigation has found the crew and the firm which owned the Enterprise were all “complacent” about the dangers of working on board. 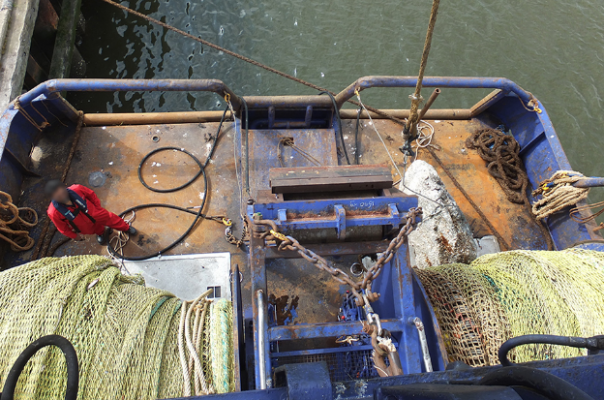 Jan de Boer, 51, fell overboard on 9 July 2015, through one of the vessel’s ports for shooting fishing nets. He had lost his footing in rough weather. Jan de Boer was not wearing a lifejacket or other buoyancy aid. 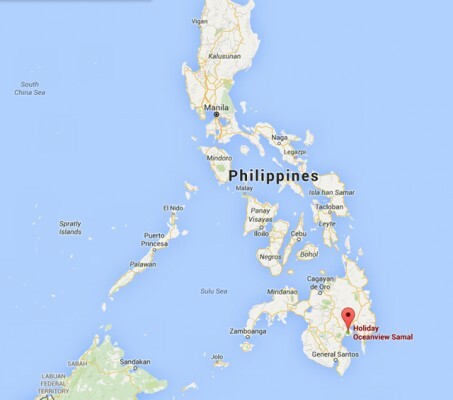 A Mayday was not transmitted until approximately 40 minutes after the skipper fell overboard. The crew took between 30 and 40 minutes to recover de Boer. Their subsequent efforts to resuscitate him were unsuccessful. 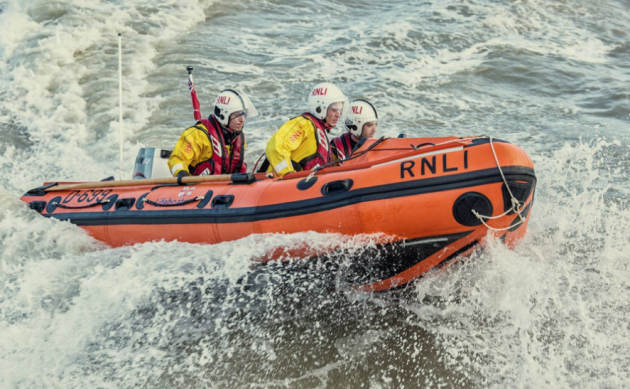 Practical Boat Owner: Coastal fatality figures released today by the Royal National Lifeboat Institution (RNLI) show the number of deaths at the UK coast reached a five-year high in 2015, with 168 people losing their lives. The records are from the National Water Safety Forum’s Water Incident Database (WAID) 2011–2015. The number of near-fatal incidents was higher still, with the RNLI’s UK lifeboat crews and lifeguards saving 385 lives in 2015, according to the organisation’s incident data. The campaign is targeted at adult men, who account for most incidents. Last year saw an increase in the number of men losing their lives at the coast. Between 2011 and 2014 men have accounted for 75% of coastal deaths but, in 2015, this increased to 84%. Around half of the people who die at the coast each year never planned to enter the water. Of the 168 deaths last year, more than half (52%) did not intend to get wet – people taking part in activities such as coastal walking, running, climbing or angling. Coastal walking and running accounted for 21% of last year’s coastal deaths. 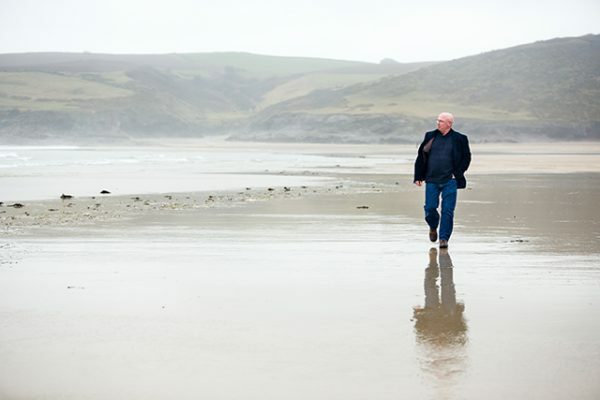 ‘Mike and his friend were at the coast at Polzeath. A freak wave caught Mike and swept him into the water. The lifeboats and helicopter were out searching for hours. I just wanted Mike back home. It was very hard as a parent to know that he was out there somewhere and there was nothing I could do about getting him back. The main dangers the RNLI is warning people about while at the coast are cold water, slips and falls, rip currents and waves. James Millidge, RNLI coastal safety manager, says: ‘People need to treat the water with respect – it’s powerful and unpredictable. Each year RNLI lifeboat crews and lifeguards save hundreds of lives but, sadly, not everyone can be saved. Over 160 lives are lost at the UK coast each year and the real tragedy of the situation is that many of these deaths could have been prevented. The charity is asking people to visit RNLI.org/RespectTheWater where they will find information on coastal hazards, how to keep themselves safe, and what to do should they or someone else end up in trouble in the water. On social media search #RespectTheWater. Yachting Boating World: Punty McPuntface? 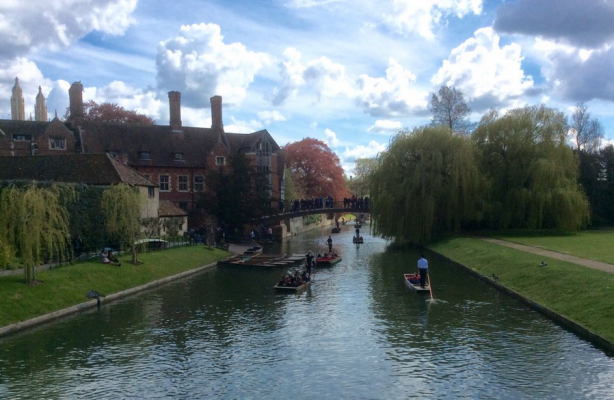 The Conservators of the River Cam are inviting suggestions to name their new patrol boat which will tackle illegal boaters and punts, as well as the odd unruly swan. Ramsay said the police are also keen to do joint patrols. “We need it to help us check boat licenses, to monitor the speeds of boats and to help us out at events; we have around 50 to 60 a year,” he explained. 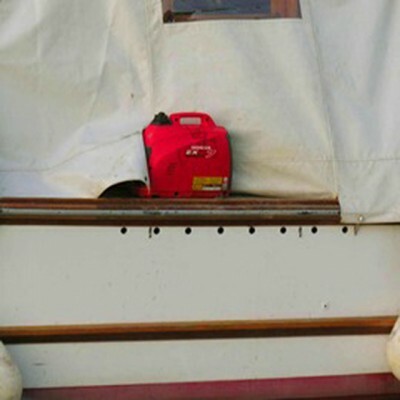 Practical Boat Owner: Televisions, laptops, mobile phones, power tools, heaters or simply charging the boat’s batteries, whatever the electrical need, the stark warning from a leading boat safety body is that petrol generators will continue to cost lives and cause misery unless boaters use them correctly. 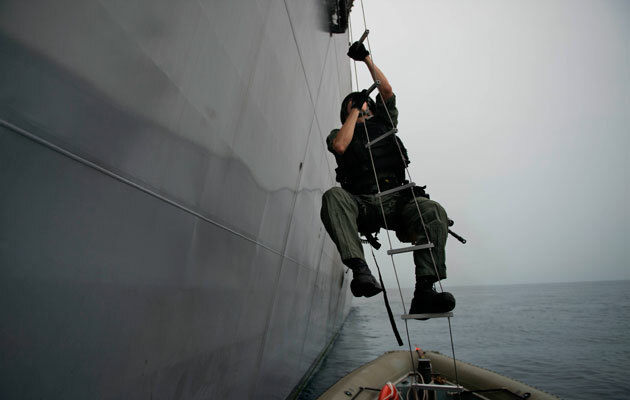 Motorboat & Yachting: South East Asia has seen a spike in piracy over the past year, with attacks 38% more frequent across the first nine months of the year. 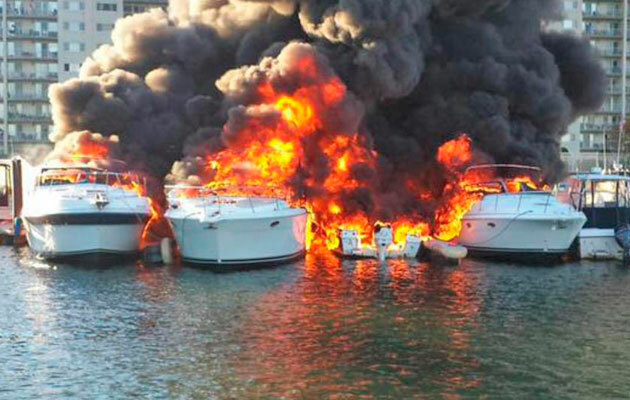 Motorboat & Yachting: A large marina fire in the Boston suburb of Quincy destroyed 11 boats and sank three, although no-one was injured. Firefighters were unable to save 11 boats that were destroyed in a marina fire in the Boston suburb of Quincy last week (October 8). The blaze started at around 0730 local time and quickly spread along the dock of Captain’s Cove Marina to neighbouring vessels. An investigation into the cause of the fire is underway, but eyewitness reports suggest it began as an engine fire, which eventually sent 50ft plumes of smoke into the morning air. No-one was injured, but a young couple who had been living aboard their boat were left homeless as a result. The 11 vessels consumed by the marina fire ranged in size from 18ft to 30ft and divers began salvage efforts on Thursday afternoon.